Who didn't know this petite sweetheart of the 90's who make waves with her string of TV and movie projects many years ago. She left Philippines and stayed abroad for more than a decade and now she is determined to reclaim her royalty as one of the country's top performer. But this time not through TV and not even with Movies. 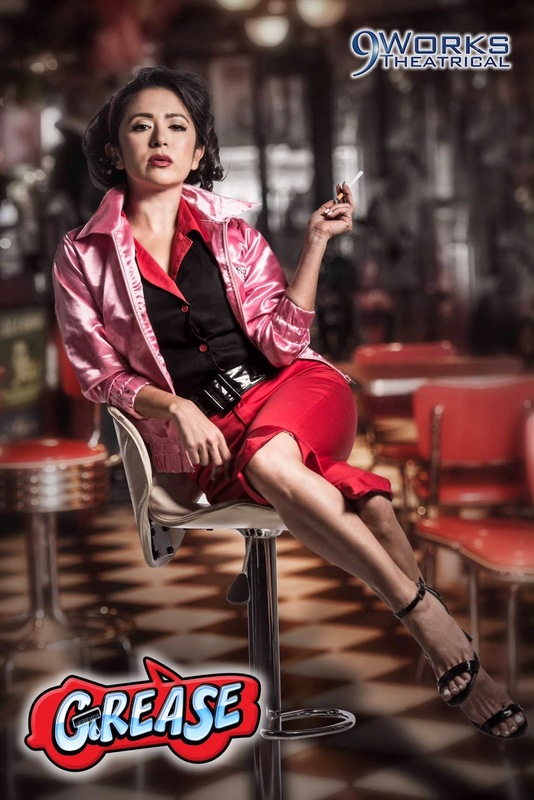 Ladies and Gentlemen, Antoinette Taus is back as Betty Rizzo for 9 Works Theatrical's Grease. Though not active on theater for many years, Antoinette is actually an alumnus of Repertory Philippines for such shows like Les Miserables and The Wiz. 9 Works is so thrilled and proud to have her to play Rizzo. Catch Antoinette as she returns on stage with Grease Repeat Performance on November 15 until December 7, 2014 at the Carlos P. Romulo Auditorium, RCBC Plaza, Ayala Avenue, Makati City. To be directed by Robbie Guevara. For tickets and inquiries call Ticketworld 8919999 or call 9 Works Theatrical at 5867105 or 09175545560.